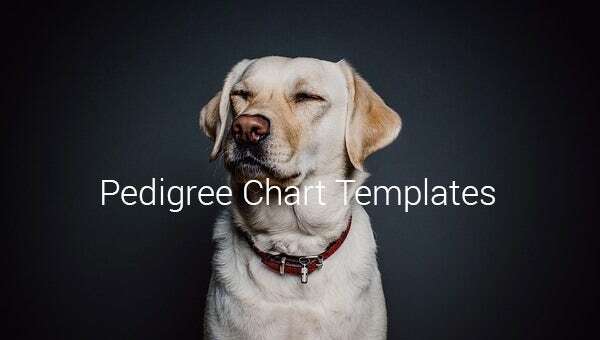 Pedigree Chart Template – 9+ Free Sample, Example, Format Download! 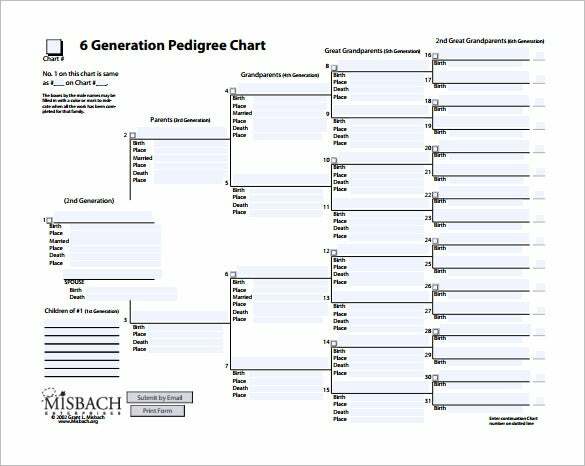 rspca.org.uk | The fifth generation pedigree chart is a chart used to keep additional information of a dog’s family tree. 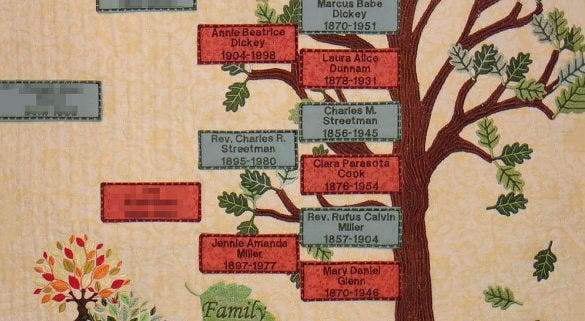 The chart includes the names of the dog, grandparents, great grandparents, great greatgranparents, and great great great grandparents. 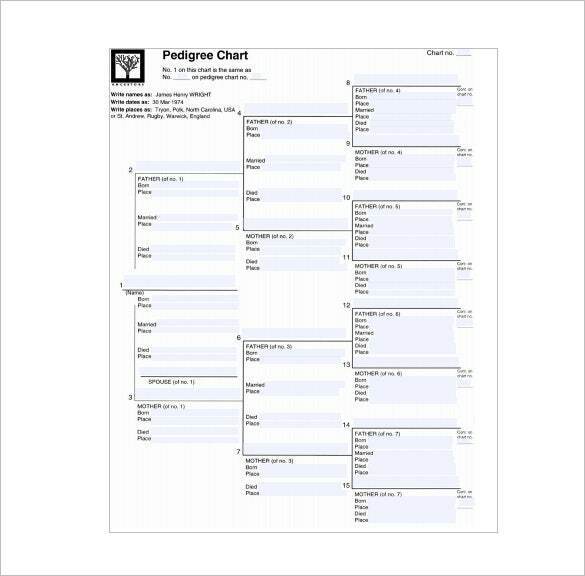 ualberta.ca | The blank pedigree chart sample is used to keep track of the dog’s family tree. The chart also include information like Born, Place, Married, Died. 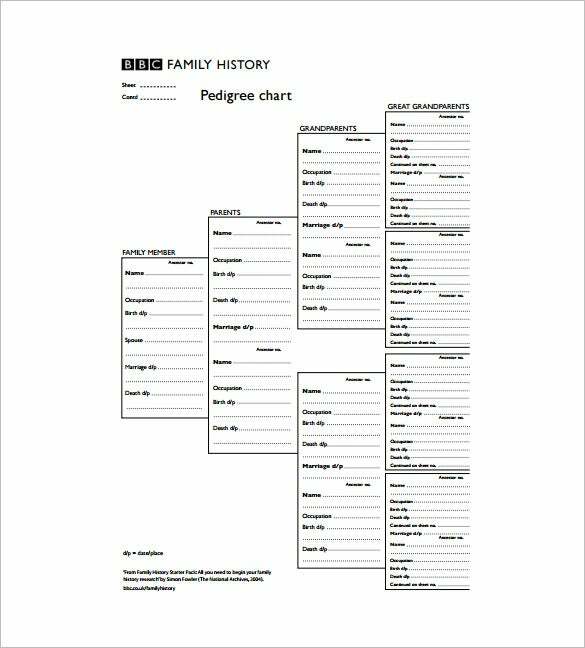 A comprehensive pedigree chart to keep track of the dog’s family tree. 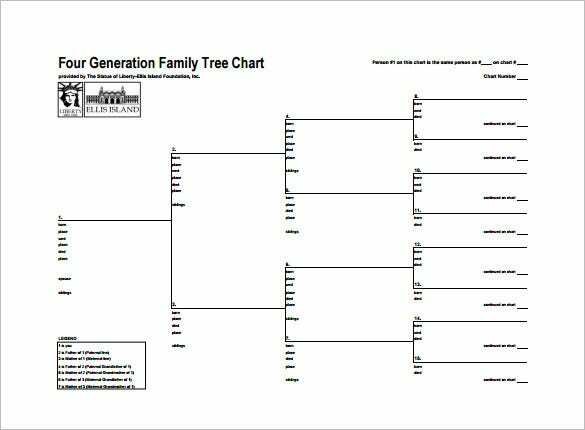 landingslag.org | The 6th generation pedigree chart is a family tree containing information of six generations. It also includes basic information like birth date, place, death date, place etc to provide a detailed family tree. 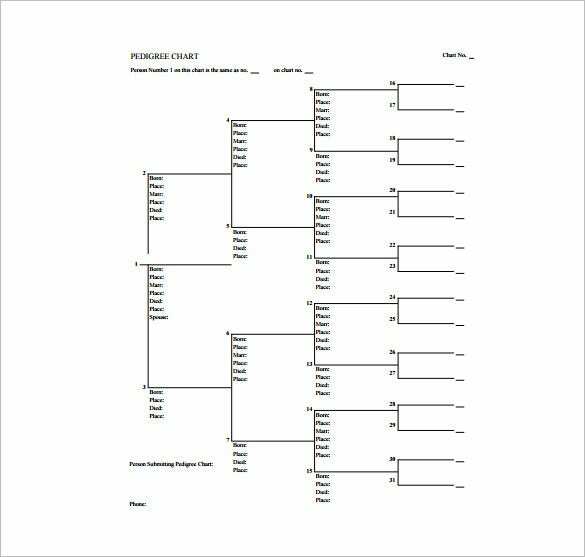 byub.org | The tree diagram pedigree chart is a simple chart which looks like a tree. 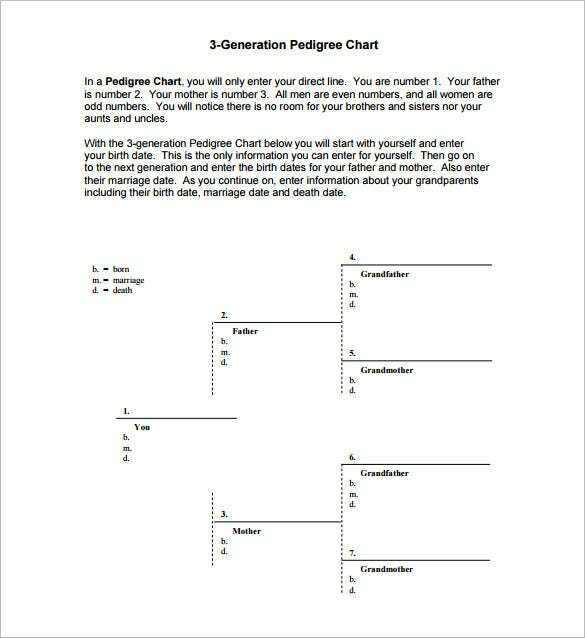 A hierarchical chart for three generations that provides each and every detail required in a pedigree chart. 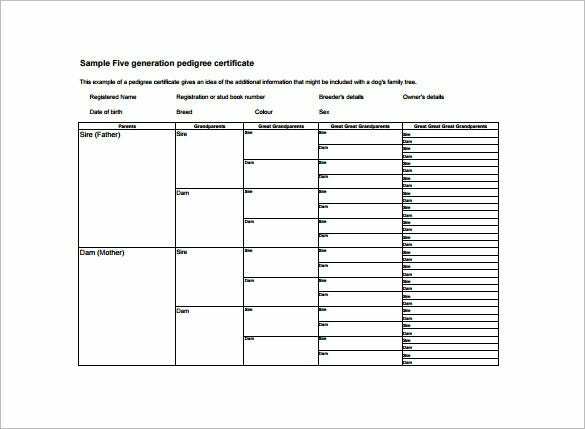 lcgsfl.org | A simple and straight forward chart, the three generation pedigree chart requires information of only the parents. The chart will start with the person, and will provide information of father and mother and then the grandparents. 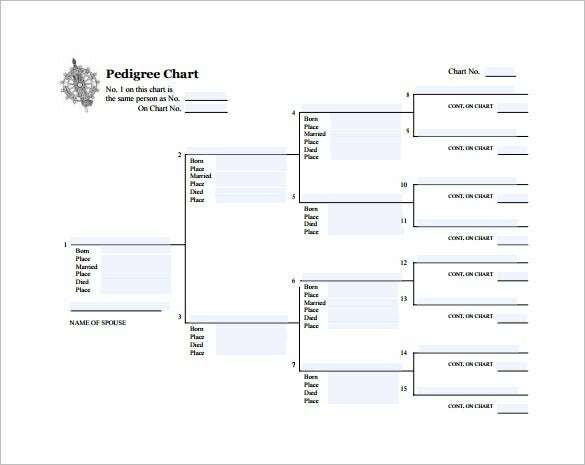 The pedigree chart template is a four generation family tree which provides information regarding birth, place, married, place, death, place and name as well. A well detailed chart that provides ample information of a family.